Everyone wants passion in their relationship. They want to feel a connection and a sense of intimacy and adventure with their partner. But sometimes the connection withers and the relationship suffers. What can you do to recover what you had? You don’t want to throw away everything you’ve worked so hard for – this is a person you love! So, how do you discover how to rekindle a relationship? What’s the cause of stagnation in your relationship? Maybe you live comfortably with your partner, but you’re missing a sense of deep emotional involvement. The relationship is okay – and that’s it. Whatever the cause, there’s no passion, no more excitement and rather than growing, the relationship is stagnating. Wherever you’re coming from, what lengths do you go to figure out how to get the spark back in your relationship? Remember when you and your partner first met? Remember, when you were first together, how you always gave it your all? You worked so hard to come up with creative ideas for dates and conversations, and you strove to show the very best of you. You consistently innovated, coming up with effective new ways to make your partner feel loved, unique and cherished. When did that stop and why? What is passion in a relationship if it’s not ongoing? In the beginning of your relationship, you achieved love and happiness because you were fully, unquestionably committed to meeting your partner’s needs! And guess what? You were feeling a deep level of joy and fulfillment, despite all that work, because your extraordinary devotion was making your partner happy, and you were building a lasting, deep connection. If you’re now wondering how to get the spark back in your relationship, it means you’ve lost the devotion and energy that was initially there. How do you get it back? Is your relationship doomed? Creating the relationship you want and deserve depends on your level of commitment to that outcome. Do you have clarity on what you want? With clarity comes focus, and once you have focus your brain will hone in like a missile. But, clarity and focus depends on your state. Before you can think of creating fulfilling relationships, you must master yourself. The first level focuses on explicit Cognitive Understanding of what you want. You get it — you know what you’re after. At the second level, you achieve Emotional Mastery, where you start to feel an emotional pull that drives you toward your outcomes. Finally, the third level is Physical Mastery. Everyone wants to be here first, but physical mastery cannot be achieved without mastering the first two levels. Cognitive and emotional mastery allows you to focus on what you need to do, what works and what doesn’t, and it clarifies your emotional commitment. Now you own it, and you’re applying your knowledge consistently and persistently until it becomes muscle memory, a physical pattern or habit. For example, let’s say that you recognize your tendency to withdraw physically and emotionally from your partner when there’s trouble or conflict, and you recognize that this tendency leads to a loss of trust and passion. Over time, this pattern will break down your relationship. You won’t be able to stop this pattern until you commit yourself to conditioning a new response by practicing it as many times as it takes, creating new physical memories and relationship patterns. This may sound like a lot of work, but what would you do for the love of your life? Anything. What fears, beliefs or memories can you transform to go to the next level? What do you need to do now to create the relationship you desire and deserve? When you can answer these questions, and commit to instituting new responses, you’ve mastered yourself. You’re at the heart of rekindling the passion in your relationship, and can now focus on creating the joyful partnership you crave with your partner. Even the happiest relationships face problems. Don’t view problems as something that will derail all the good progress you are making with your partner. Problems are opportunities! They are your chance to grow, improve and evolve the relationship. Problems can be roadmaps that show us how to rekindle a broken relationship. Learn to see challenges in your relationship for what they are, and respond to them with purpose, an open mind and a sense of humor, rather than fear. Too often we avoid addressing the things that are bothering us just because we are afraid — and that’s how we miss out. Instead, face the problem right away, while it is still manageable, and be ready to laugh about the solution rather than get up in arms about it. Remember your life when you were 15 years old. What was your worst problem? How about when you were 25? Problems change, because people adapt and improve. You can laugh about those old problems, so why not take a shortcut now? When a conflict between you and your partner comes up, cope with the issue right away, without blowing it out of proportion. Find a way to make it funny. What would 15-year-old you say about this? When you and your partner can laugh about your problem, you can tap into the power of the connection to seal the rift and grow as a couple. When there are growing pains in your relationship, don’t worry. Work toward forming trust and understanding instead of getting bent out of shape. It’s during challenges that trust is formed, because these are the times where your partner is in need. These are the times you can seize to meet those needs. Show your partner that you can listen and empathize, and remind them why they trusted you with their feelings in the first place. If you’re having trouble enacting these strategies with your partner, momentarily visualize someone else. Who’s your closest friend? Think of them. Why do you trust them? You know with certainty that if you had a problem, you can talk to them about it, no matter what. Why is that? It’s because when you need that person, that person is willing to drop everything to be there for you. They love you without judgment. That’s why you trust them – you know, with absolute certainty that you can rely on them even when times are tough. Are you that person for your partner? Are they that person for you? If your relationship is under pressure and you’re experiencing stress, anxiety and difficulty, you are in a defining moment. You have the chance to prove to your partner that they can trust you even when things are bad, even when it would be easier for you to take care of your own needs. Never waste a chance to show you will take care of the person you love. Stage Two: Create heartfelt emotion for your partner so you can both heal and feel loved; stop, breathe deeply, hold each other and connect. Stay here until you eclipse negative feelings with love and gratitude. Stage Three: Share your true feelings, and listen to your partner’s thoughts carefully, without judging, correcting or fixing. Accept their feedback and respond with love. Stage Four: Align your needs with your partner’s so you can connect with a common vision for your relationship and future together. Stage Five: Always end any tough conversations with some act of love, such as a hug, a promise or a kiss. If you can’t do this, you need to repeat each of the previous stages until you are able to feel at peace with each other. Simple enough, right? Now commit to it, practice it and master your relationship. Over time, these actions will become second nature. How To Rekindle your relationship: what are your partner’s needs? You want to spark that fire again. You want to feel that passion like you did on the first day you met. You’re ready to listen and you’re ready to give, but how do you know what it is that your partner wants? How does your partner best understand what you’re trying to give? Most of us have a perceptual bias in the way we communicate. Is your partner more of an auditory person who likes to talk and listen? Or, are they more receptive to visual input, preferring lots of eye contact or seeing your words put into action? Perhaps your partner prefers kinesthetic communication, or the stimulus of touch, and needs to have physical reassurance on top of verbal communication. Pay attention to your partner’s communication cues. If you know their perceptual bias, you can adjust your communication style to work in tandem with theirs and ultimately find out how to get the spark back in your relationship. By being sensitive to each other’s biases, you will both get more of the excitement and affection that you want. Once you’re on the same page as your partner, you can work to better understand how to meet each other’s needs. These manifest in as many ways as there are people, but they all come back to six fundamental human needs. 1. The first human need is certainty, the need to be comfortable, enjoy pleasure and avoid pain. A person with masculine energy can meet the certainty need by being emotionally present, open and honest for their feminine energy partners, even when they are upset. Someone with feminine energy can meet this need by showing their masculine energy partners that their love is unconditional – not just saying so, but being present and refraining from withdrawing even when things go wrong. 2. Uncertainty is the second human need, because we can exercise and demonstrate our physical and emotional range only when challenges and variety are present. Men can meet this need by initiating surprise dates or token gifts with their female partners. Women can meet this need by being more provocative and by, for those looking to spice up the bedroom, surprising physically. 3. The third is to feel significant, needed, special and wanted. Anyone can meet this need by thinking of different ways they can show their partner how important they are. What small thing can you do today, this week or this month to show your partner that there is no one else on Earth who could take their place? What can you do to show how grateful you are for their love? How can you show them their uniqueness is appreciated? 4. Fourth is love and connection with others. You can best meet this need for your partner by understanding how they experience the world and how they prefer to receive love. If your partner is very visual, they will love it if you gaze into their eyes or wear their favorite clothes; if your partner loves thoughtful gestures, even a small, but thoughtful, gift will mean the world to them. 5. The fifth human need is growth, because without emotional, intellectual and spiritual development we cannot rise to our potential. This is true of individuals, but it’s just as true for relationships. If you’re not growing, you’re dying. Put in the work that it takes to understand each other and find innovative ways to make things work for both of you. 6. Finally, the sixth need is contribution and giving. Giving is the secret to wealth and fulfillment. What would you do to make the person you love happy? Would you expect something in return, or is seeing them in a beautiful state enough of a gift in return? Is your partner holding back, forcing you to initiate every time? Or is your partner the one who takes action? It’s okay if either one is the case – in fact, it’s natural. You and your partner are different, but in here lies the beauty — the power of polarity. In any successful relationship, there’s a person with masculine energy and one with feminine energy. These energies don’t necessarily correspond to gender. You may believe that common interests are what bring people together, and sometimes that might be true. While common values and goals are important, perhaps vital, to the success of a relationship, common needs and personalities are not. Although having things in common with your partner is wonderful, opposites really do attract. Do you remember how attracted to your partner’s natural energy you were when you first met? Is it really that hard to go back to that state? Your natural energies already work together in amazing ways, so there is no sense hiding, denying or suppressing your real selves. Explore your natural polarity with your partner. You don’t need a clone — you need an invigorating, exciting life partner who challenges and excites you. You want and need your partner to stimulate you in new ways, ways that are unavailable to you without them. They want you to do the same thing for them, so you owe it to yourself and your partner to be your authentic self. If the relationship is worth committing to, you need to take risks and make sacrifices to provide elements of uncertainty and passion. Go back to the question of what you would do for the one you loved. Anything, right? If you’ve mastered yourself and you’ve achieved clarity in, and focus on, your outcomes, what’s stopping you from meeting them? What’s stopping you from doing everything possible to make your partner happy and figuring out how to rekindle the spark in your relationship? If you haven’t committed and you’re weighing your options, your relationship is dying. You already have one foot out of the door. What do you truly want? What is it that you’re after? But, if you’ve achieved that level of personal mastery and you’re focused, you must commit. Commit to working through conflict and communicating openly with your partner. Commit to meeting their needs and to creating joy in your relationship. What risks have you been avoiding in your relationship? How have you put yourself out there? What have you given, added to the relationship? Experiment with ways of giving. Be creative, and watch to see to see what your partner responds to the best. When you see patterns, think about what those things have in common, and give your partner more. Don’t give up if you try something that doesn’t work. Trial and error is part of the process. Just keep watching and talking to your partner and learn as much from your failures as you do from your successes. Indeed, it’s only failure if you failed to learn. Don’t let fear restrict your willingness to give, grow, and learn. Remove whatever barriers you might have erected to protect yourself in moments of pain or sorrow. Intimacy demands laying yourself bare, and opening yourself up. Don’t expect to succeed without a true, deep connection with your partner. This can be challenging, but you can do it, and you’ve already started by acknowledging your barriers and letting them down — so relax, breathe deeply and enjoy yourself. Ask yourself, have you created barriers to intimacy? Has your partner? If so, what can you do to tear those barriers down? How can you get past these barriers to put the spark back in your relationship? 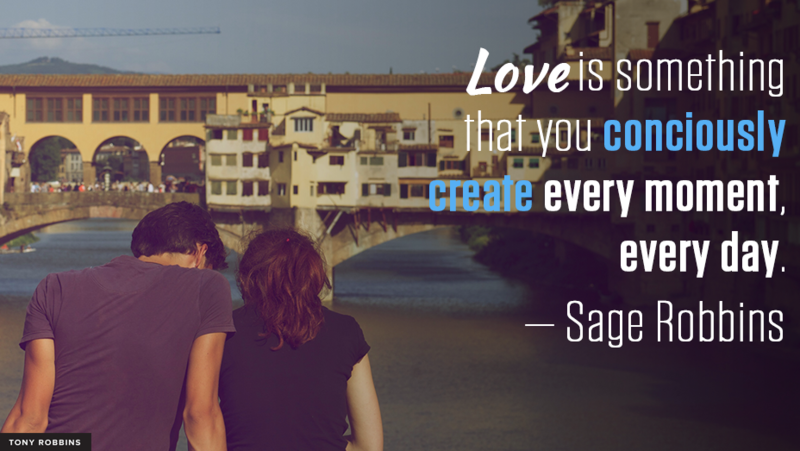 Create alignment in values and outcomes between you and your partner. It’s natural and even desirable to have some differences when it comes to interests and day-to-day activities, but it’s important to ensure that you and your partner are working together in the same direction. Compatibility is all about aligning values and outcomes. Committed, successful couples appreciate and recognize their differences, and see them as sources of excitement and enrichment, not conflict. This is key to alignment: seeing differences in real situations as positive pieces of a thrilling relationship that is rich with uncertainty, yet aligned enough on the important things to be stable and fulfilling. Put yourself in your partner’s place and understand things from their point of view. Choose some point of contention that has caused you to negatively react in the past, and look at it through your partner’s perspective. Be a character actor who is about to play the role of your partner on stage: you can only give a good performance if you really understand the emotional perspective of that character, and relate it back to some authentic emotion of your own. Taking these extra steps toward understanding your partner’s perspective is an invaluable part of being able to honor their feelings while also demonstrating your love for them. Appreciate the uniqueness and intrigue of your partner, and you will never fail to cherish their role in your life. If you want a relationship full of passion and love, what are you willing to do for it? The key to finding love and learning how to rekindle a relationship is to give as much as you want to receive mentally, emotionally and spiritually to your partner.